Thank you to the more than 300 members currently filling volunteer roles with CAOT. Volunteer roles come in a wide range of time commitments and responsibilities. Our Get Involved page summarizes what CAOT has for you to consider. 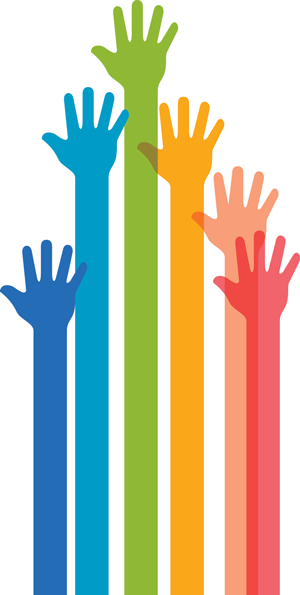 · Our Volunteer Showcase shares insights and stories from some of CAOT’s most active members. Current opportunities: These postings will have a position description that will help you determine if you are suited for this role and other pertinent details regarding the submission. Open call: We truly value member volunteerism and would like to gather and hold your name and resumé in a confidential database so we can let you know if a volunteer opportunity arises that you may be interested in. The OTA and PTA Education Accreditation Program (OTA/PTA EAP) is looking for reviewers who are occupational therapists who speak English or are bilingual. The OTA and PTA Education Accreditation Program (OTA/PTA EAP) is looking for reviewers who are occupational therapists and particularly for those who are bilingual. A video and information about this opportunity is on the EAP website and please note the eligibility criteria to be a reviewer. Product reviewer for CAOT’s Product Recognition Program. Share your expertise with others by reviewing a new or leading-edge assistive technology or product. Help your colleagues and consumers to make more informed product choices by cutting through the clutter of available products and identifying those most worthy of purchase or referral. Become a Product Reviewer . Mentors. We are seeking mentors as part of CAOT Mentorship on Demand. This new program allows individuals “mentees” to seek mentorship on demand. Mentees and mentors work together for a period of 6 months to address reflective goals established by the mentee and guided by the mentor. This experience is intended to open a new chapter in professional and, often, personal lives. Please consider giving back by becoming a mentor. Complete the mentor profile and brief survey online. If you would like to get more involved in your profession, a volunteer role with CAOT may be of interest – to add to your skills, share your expertise, build your network or to allow you to give back to occupational therapy. Specific experience is needed for some roles and others are more general. Add your name to our confidential volunteer database and upload your resumé .